I start by smashing the garlic cloves and throwing that and the onion in a pan. 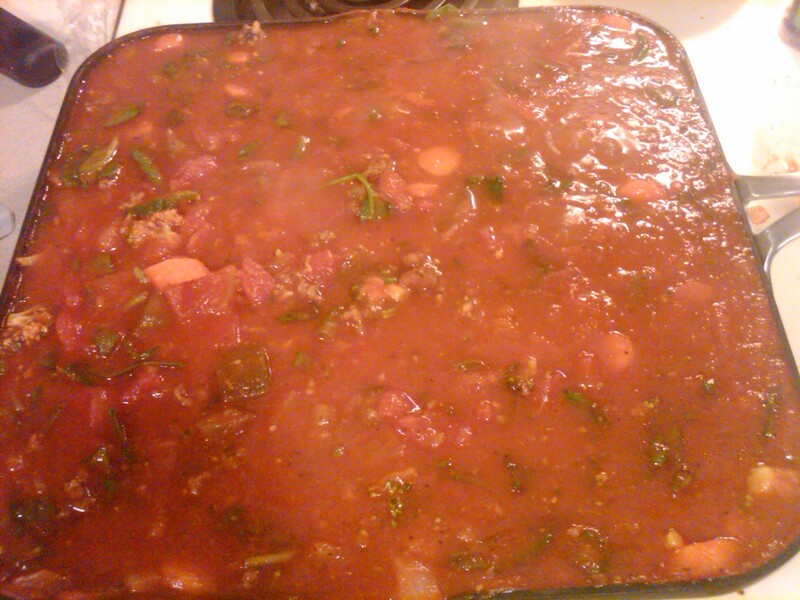 I usually spray the pan if I’m using really lean ground beef (which this recipe assumes). 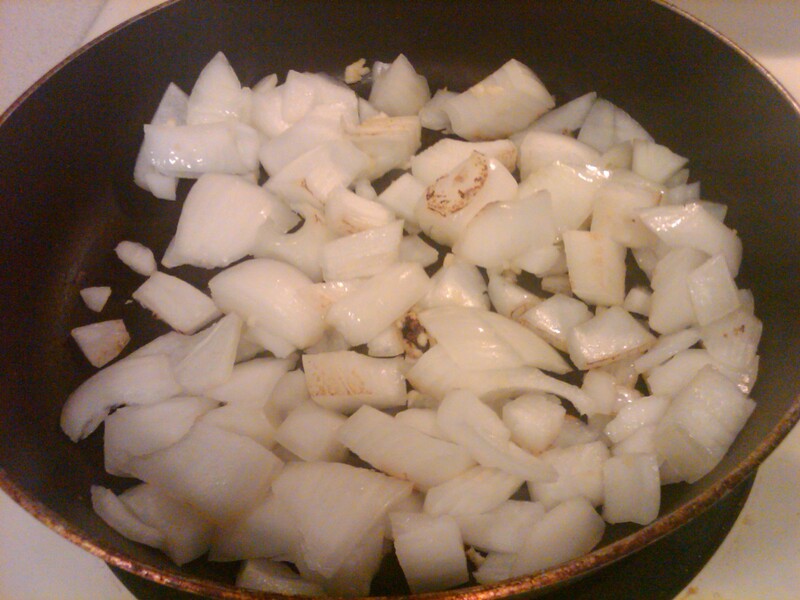 After the onions and garlic barely start cooking, throw in the ground beef and cook until done. 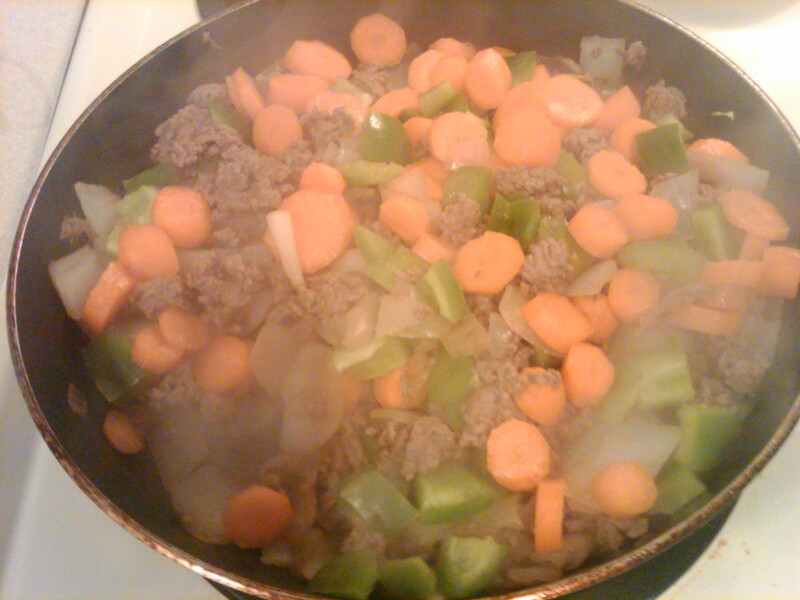 This is where I add any veggies I’m going to cook into the sauce. There are lots of options here. I opted for carrots, a green pepper and broccoli (I don’t think I’d added the broccoli at this point – only because I took the picture too soon). This is where things get out of control. I add the cans of spaghetti sauce, the can of tomatoes (and the aforementioned broccoli) along with a cup of water and things are overflowing. Even after upgrading to a larger pan (next time I’ll use a stock pot). THIS was a mess. There was sauce running everywhere. I was screaming. Never have I been more thankful for my hard floors in my kitchen! While the sauce is simmering mix together the ricotta cheese, egg, basil, parsley, garlic salt, black pepper, and red pepper. It’s also a good time to grate your cheese. 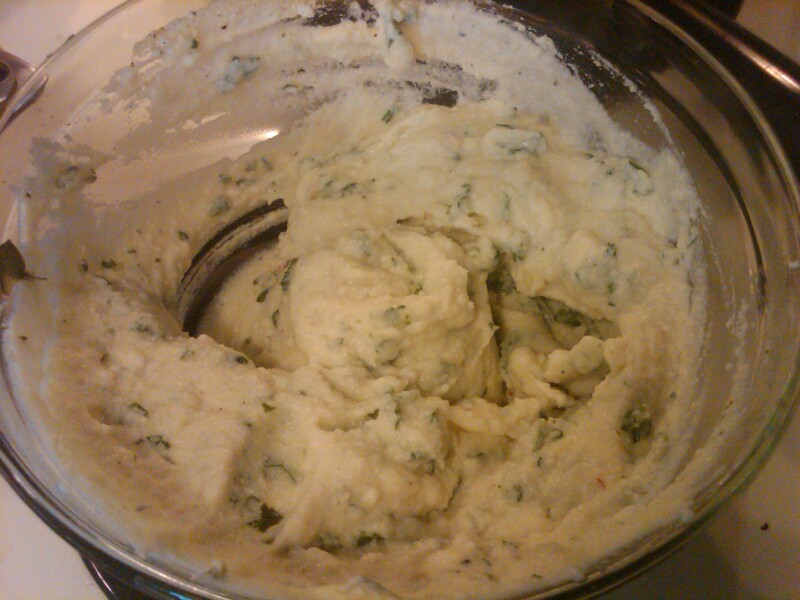 I did mine in 2 ounce portions (8 ounces total). I figured I’d have three layers with ricotta and mozzarella cheese inside, then one final layer of mozzarella and asiago on top. So that makes four portions of mozzarella. When you’re ready (or if you’re me, when your kitchen is in an utter state of unrest), start putting some sauce in the bottom of the crock pot. (I did spray my crock pot with food release, but I’m not sure whether it’s necessary.) I believe I did five layers of sauce. But this is easy enough to portion out as you go. After the sauce came 1/4 of my noodles. 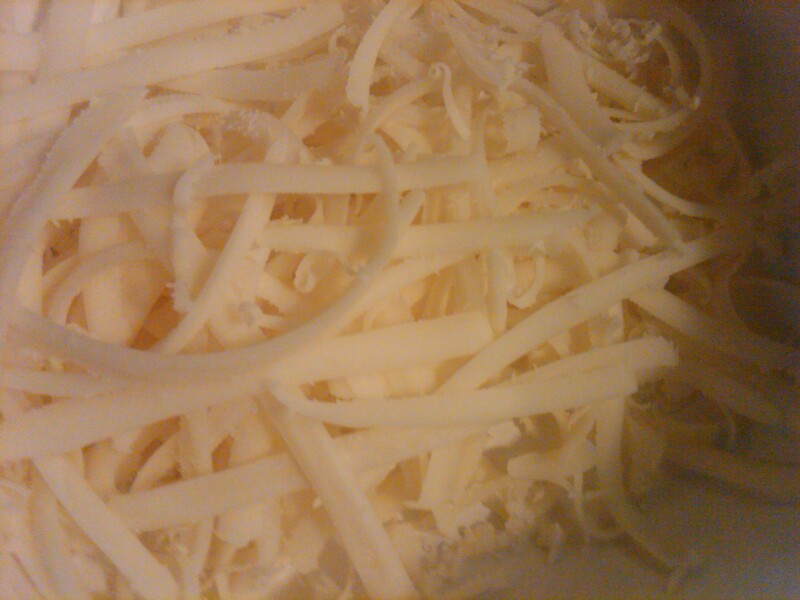 Then I spread on 1/3 of the ricotta cheese and added 1/4 of the mozzarella cheese. 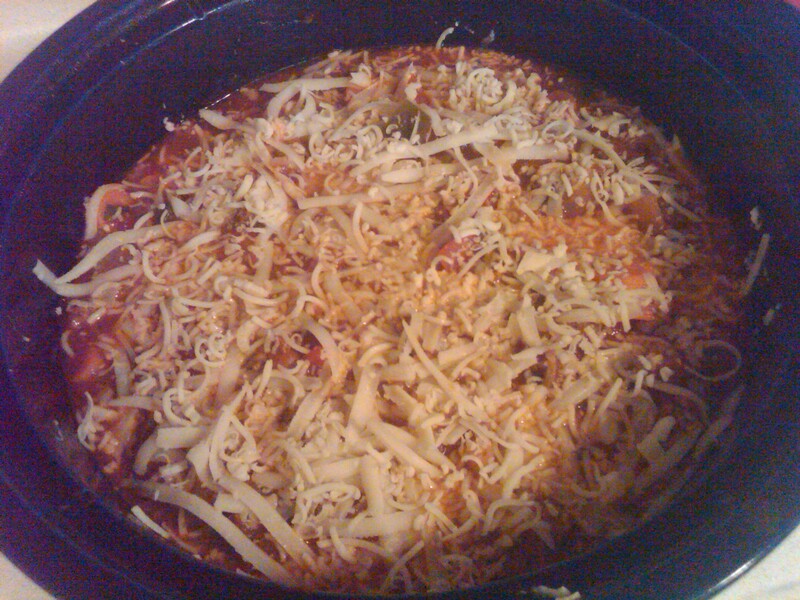 Do two more layers of sauce/noodles/cheese. 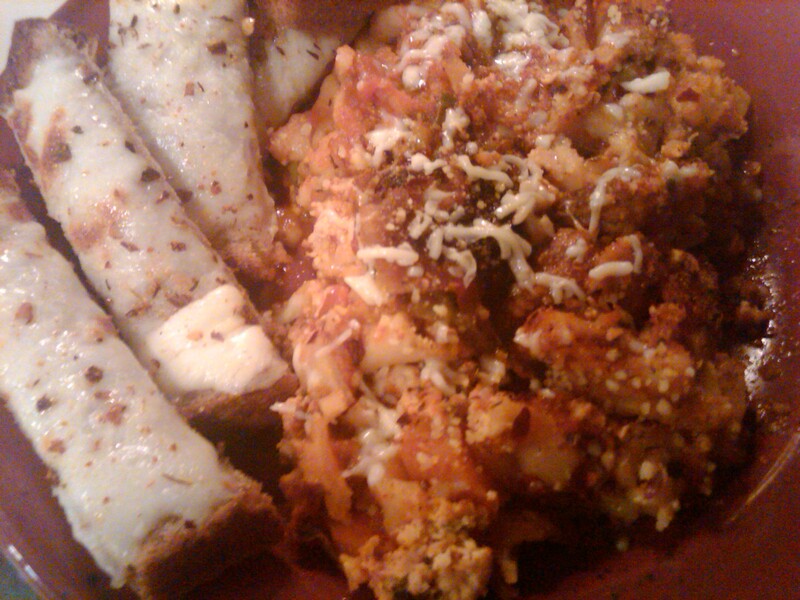 Then I did a layer of sauce, noodles, sauce, and then the rest of the mozzarella cheese. 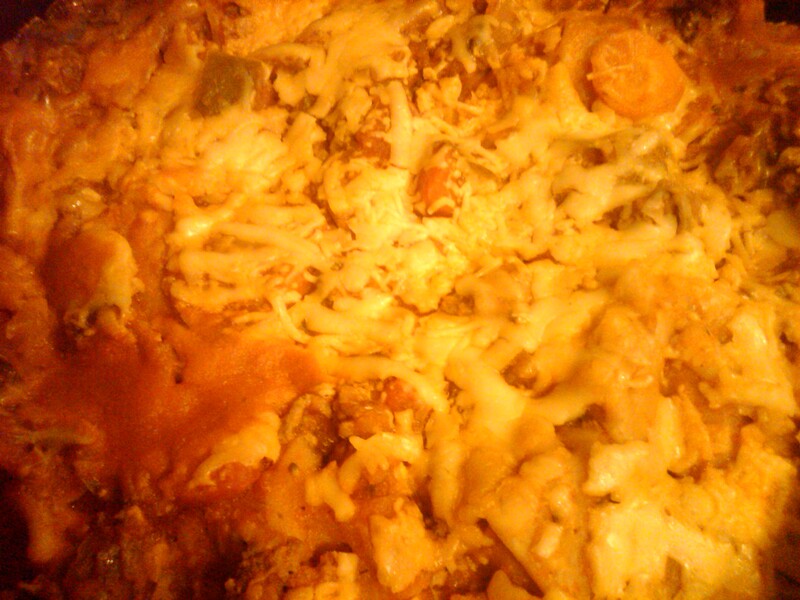 At this point I added around 5 Tbs of asiago cheese. You could also do parmesan cheese (they have about the same calories – I did 100 calories total). Then turn the crock pot to low and let it cook. 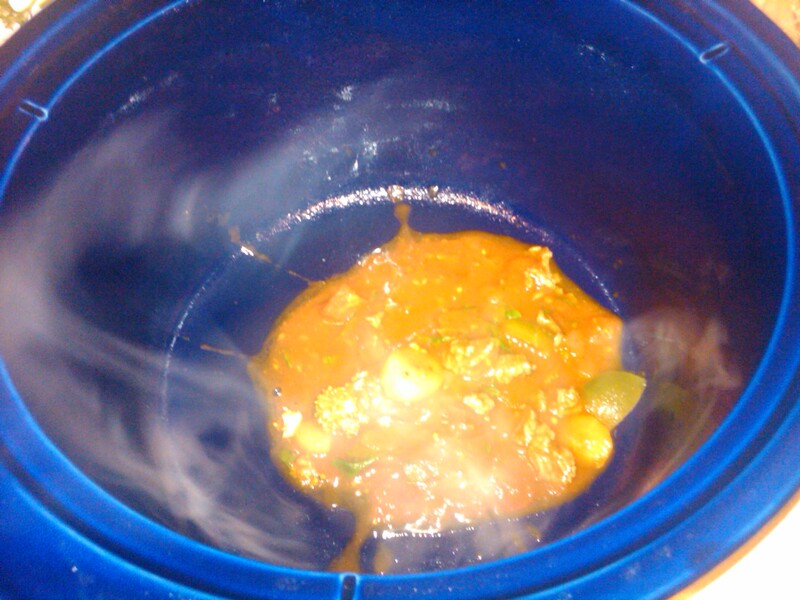 The recipe I looked at said around 6-7 hours but it could be less if your crock pot is brand new and gets really hot. I haven’t ever considered this crock pot to get too hot. So I basked in the wonderful smells all afternoon. At around 6 hours I checked. And the noodles were a little overdone. Next time I’ll probably check on it after about 3 or 4 hours. 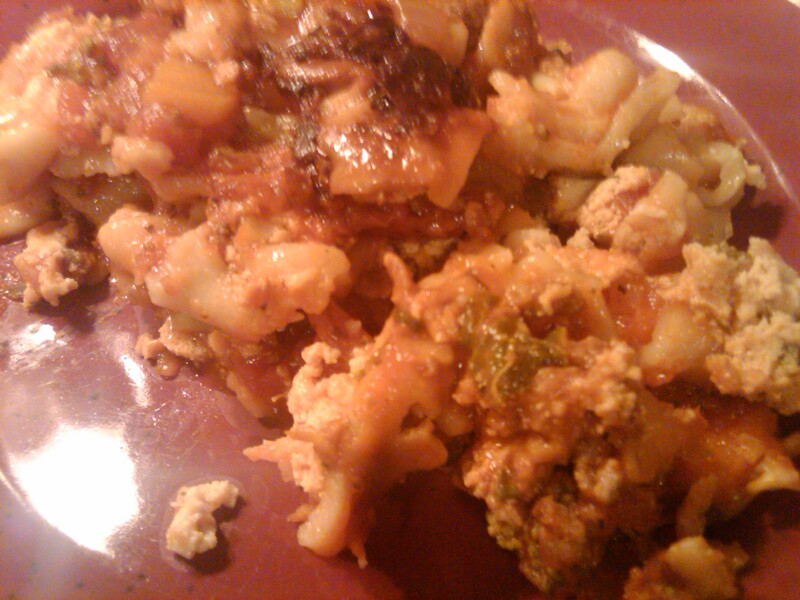 All in all, though, even overcooked it was delicious, including reheated. 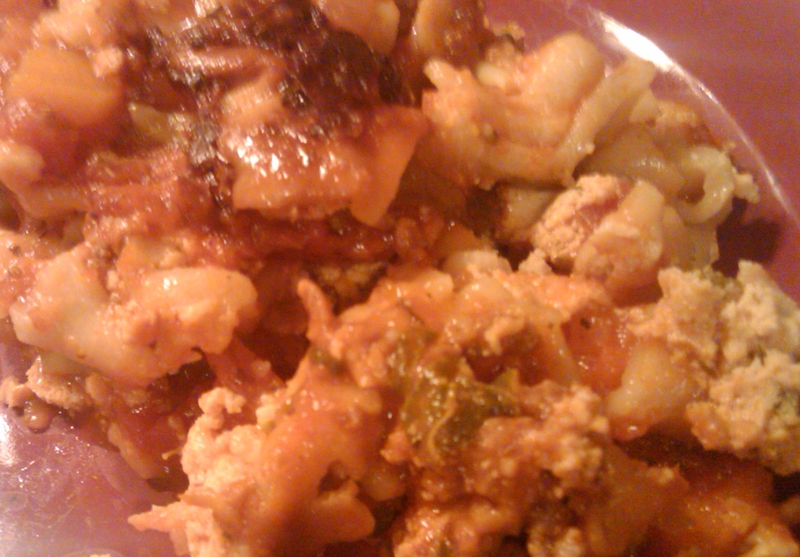 In fact, I noticed the overcooked noodles LESS after reheating. So who knows? I ended up dividing this into 10 portions, but these are pretty big portions. If you want bread or something with it, you could do 12 portions to take the calories per portion down even more. All I did was take a piece of whole wheat bread (about 50-70 calories), sprinkled it with garlic salt and this “pasta and pizza magic seasoning I have) and then with a little mozzarella and asiago cheese, and broiled it until the cheese melted and started to brown. PERFECT companion to a big plate of lasagna.